As strange as it sounds, lately, we are obsessed with everything peacock! We can’t get enough! 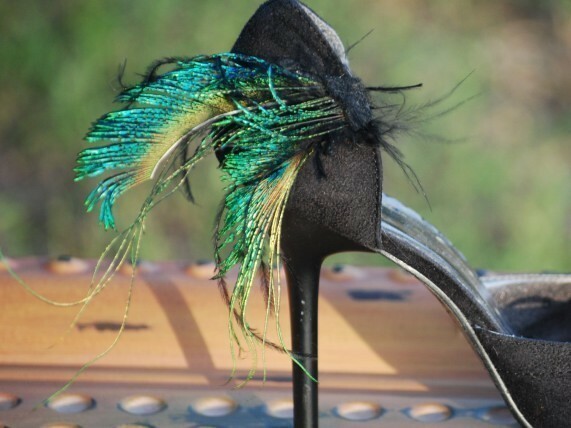 Thankfully there are so many crafty folks out there with the same obsession that we were able to quench our lust for this playful and vibrant feather phenomenon! 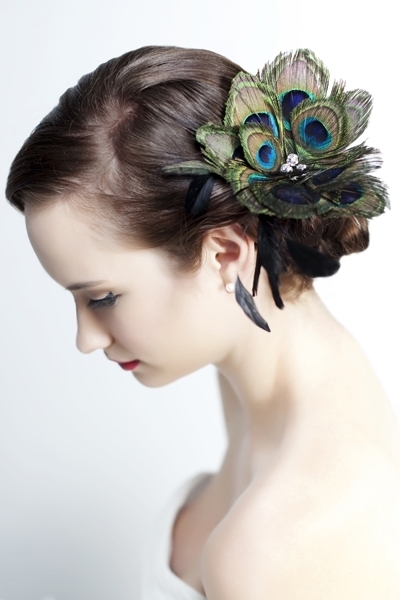 One of our favorite hairpieces by Sara Gabriel is her Izzy hairpin shown below…adorable! Check out these cute variations we found on etsy.com made with real peacock feathers! 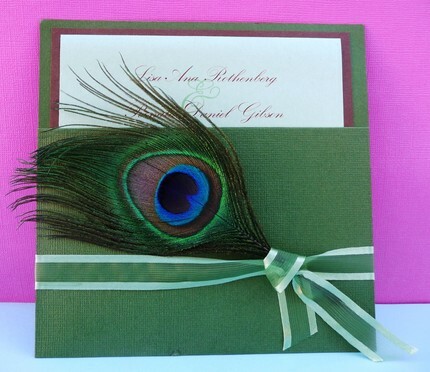 Handmade invitations, hair pins, boutonnieres, shoe decor, necklaces, the options are endless. 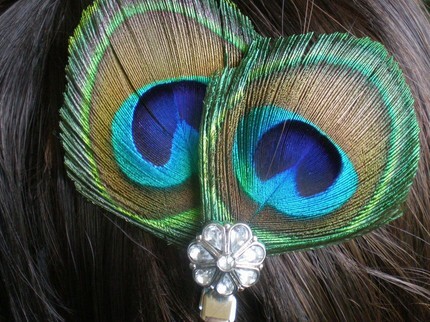 And don’t worry ladies, no peacocks were harmed in the making of these fun accessories. The feathers are cruelty-free as they are naturally molted by wild peacocks and then gathered for use by the crafters. Enjoy!